Flux. 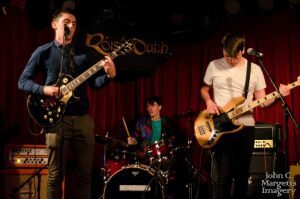 launch their new single ‘Smile (Move On)’ at Citóg on Wednesday 13th of September with support from Conman. Flux. 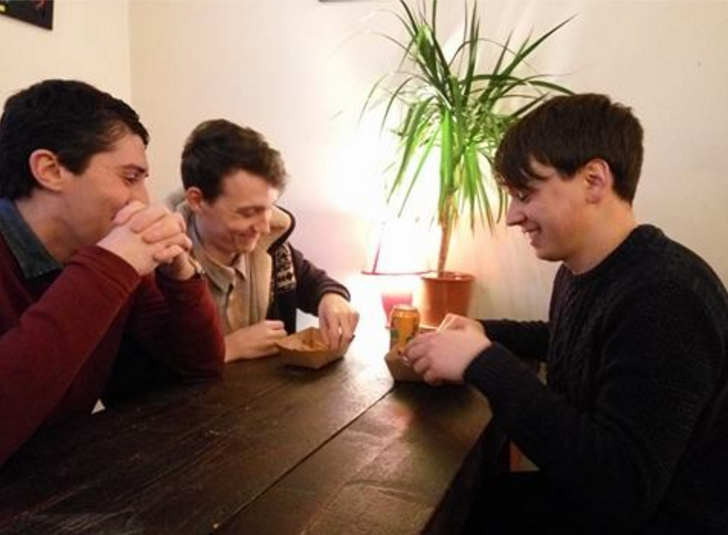 are a three-piece indie rock band from Galway. Their music is punchy but has plenty of melody, with influences of bands like Vampire Weekend and Two Door Cinema Club, especially in their guitar work. Citóg is operating under a new format nowadays with two bands filling the bill and earlier starting/finishing times, so make sure to get down at 9pm sharp. After a heated debate between all three of us in the band over whether Limerick qualified as the west of Ireland, I’ve come to a decision about our (or at least MY) favourite songs from the Wesht. After watching Oh Boland live I instantly fell in love with them, the never in tune guitar and the “don’t give a damn” attitude had me hooked. One song in particular “Suntan Suite” is an absolute monster. I saw it live one night when they played the Loft and the behemoth of a song in all it’s messy glory instantly evoked Thee Oh Sees vibes. The seemingly never ending song is a blast from start to finish and everytime I hear it I smile. Field Trip are another of my favourite Galway bands. The chorusy guitars and Wayne Foy’s majestic voice are a match made in heaven. Instantly making me feel like it’s summer despite having some of the worst weather in the country. I recently saw them at Electric Picnic and it made me proud to see these boys as well as many other Galway bands repping our great city. What’s not to like here? Another band that mesmerizes with their live performances. With a freaking bass prodigy in the form of Charlie McCarthy and one of the best guitarists I have ever seen their line up is immense. Burnt Banana combines dirty blues riffs with punk rock vocals and lyrics. The last minute of the song is particularly tasty with the guitar solo leading into a tongue in cheek fake ending. I stumbled upon Dylan Murphy playing in the Roisin Dubh one night and being a big blues fan I couldn’t help but like him. It’s great to see someone in the west of Ireland playing slide guitar and Seratonin Blues combines that with sharp relatable lyrics. All of Dylan’s songs come packed with character and personality and his charisma on stage makes it hard not to like him. Possessing possibly one of the greatest voices in Galway and THE greatest personality I can’t help but love Steven Sharpe. Clearly pulling from an eclectic mix of influences that somehow work to form a cohesive unique identity. Just from the title you can tell the song is going to be fun and it doesn’t fail to deliver. Seeing Steven and his band live is not to be missed. I just want to tell you that I’m all new to blogging and site-building and honestly liked you’re web site. Very likely I’m going to bookmark your site . You actually come with exceptional writings. Appreciate it for sharing your blog site. Hiya very nice web site!! Guy .. Excellent .. Superb .. I’ll bookmark your web site and take the feeds additionally¡KI’m glad to seek out so many helpful information here in the publish, we want develop extra techniques on this regard, thank you for sharing. . . . . . I loved as much as you’ll receive carried out right here. The sketch is tasteful, your authored material stylish. nonetheless, you command get got an impatience over that you wish be delivering the following. unwell unquestionably come further formerly again as exactly the same nearly a lot often inside case you shield this increase. Someone essentially help to make critically posts I would state. That is the first time I frequented your web page and to this point? I amazed with the research you made to make this particular publish incredible. Great task! You made some decent points there. I did a search on the topic and found most people will agree with your blog.